Home / We Will Rock You! 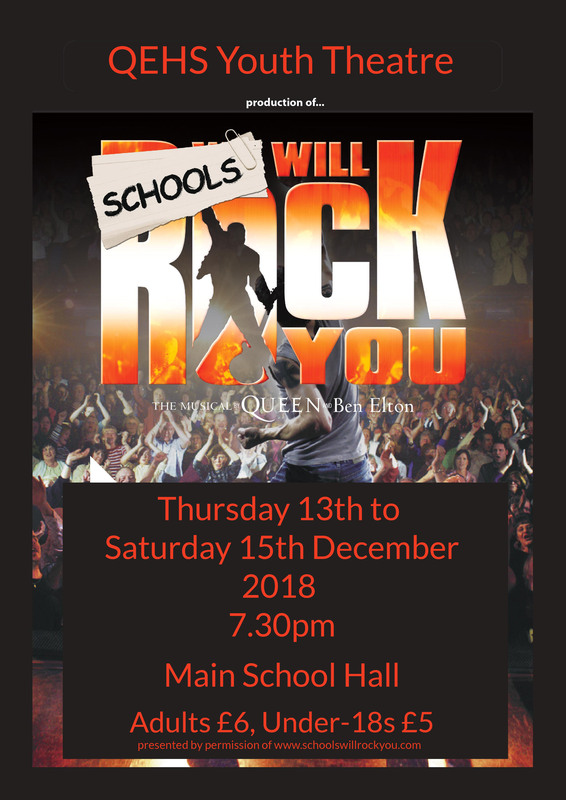 Preparations are underway for our spectacular Youth Theatre production of We Will Rock You! Taking place in the distant future, the story of We Will Rock You exists predominately as a framework allowing the cast to perform covers of Queen’s greatest hits. Earth’s name has been changed to Planet Mall. Everyone wears the same clothes, thinks the same thoughts and goes about in a brain-dead haze. Musical instruments and composers are forbidden, and rock music is all but unknown. However, a small group of “Bohemians” struggles to restore the free exchange of thought, fashion, and (most of all) live music. With the help of Pop, an ancient hippie librarian, two Bohemians, Galileo and Scaramouche, find Rock’s Holy Grail, Brian May’s guitar buried in the remains of Embley Stadium. Our shows this year will run from Thursday 13 December until Saturday 15 December 2018. Ticket prices this year will be £5 for under 18s, and £6 each for adults. 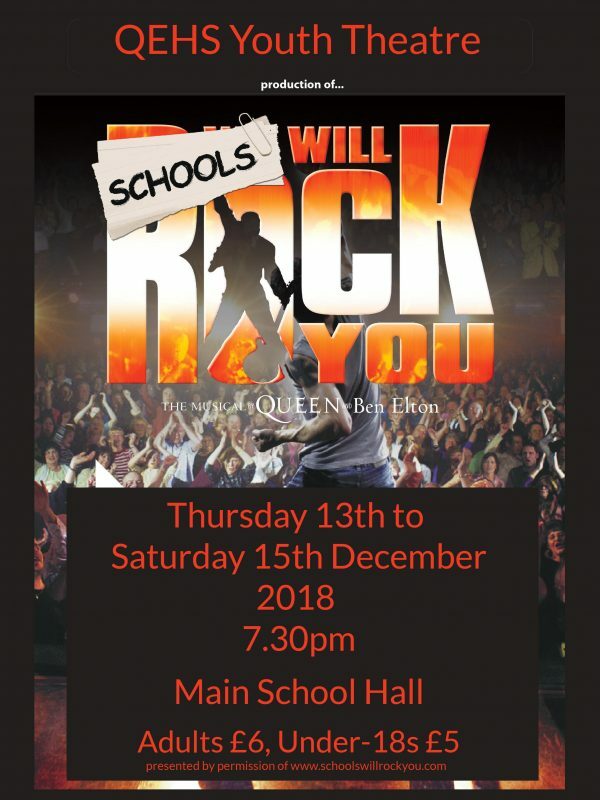 To purchase your tickets for We Will Rock You please complete the reply slip sent out via Schoolcomms. Tickets can then either be collected from the box office on the night of the show, or from the lunchtime temporary box office which will be set up in the Drama Office on Thursday. The performances will begin at 7.30pm in the Main Hall of QEHS.